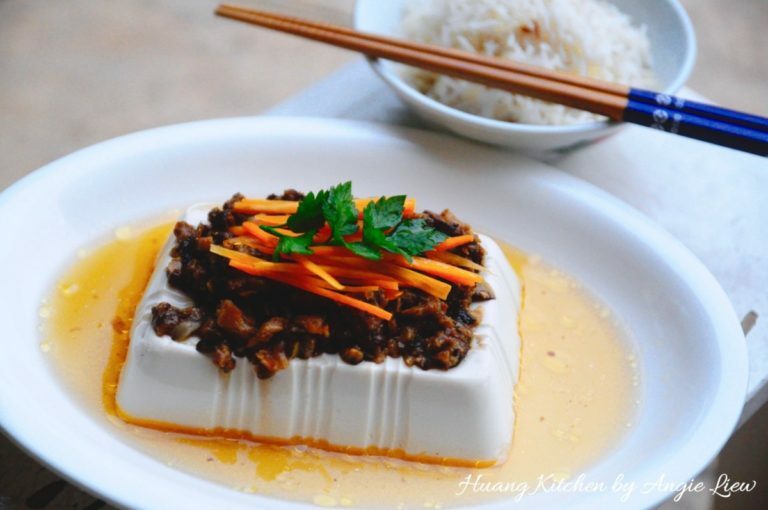 If you like recipes of tofu with mushroom, you may want to try this flavourful and healthy steamed tofu dish: Steamed Shiitake Mushroom Beancurd. 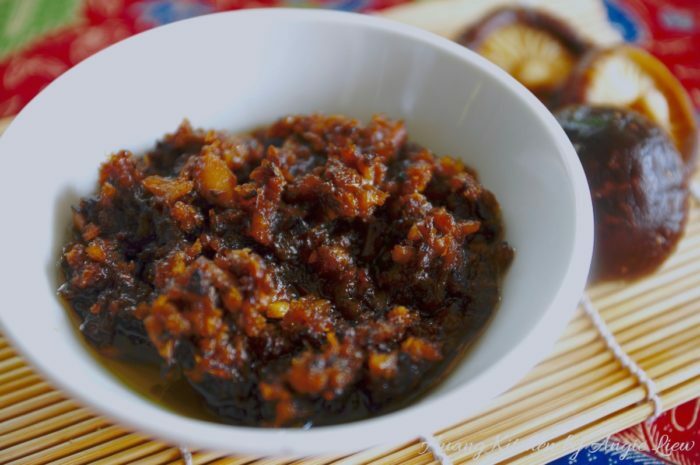 This is another vegetarian dish that is very simple to cook. 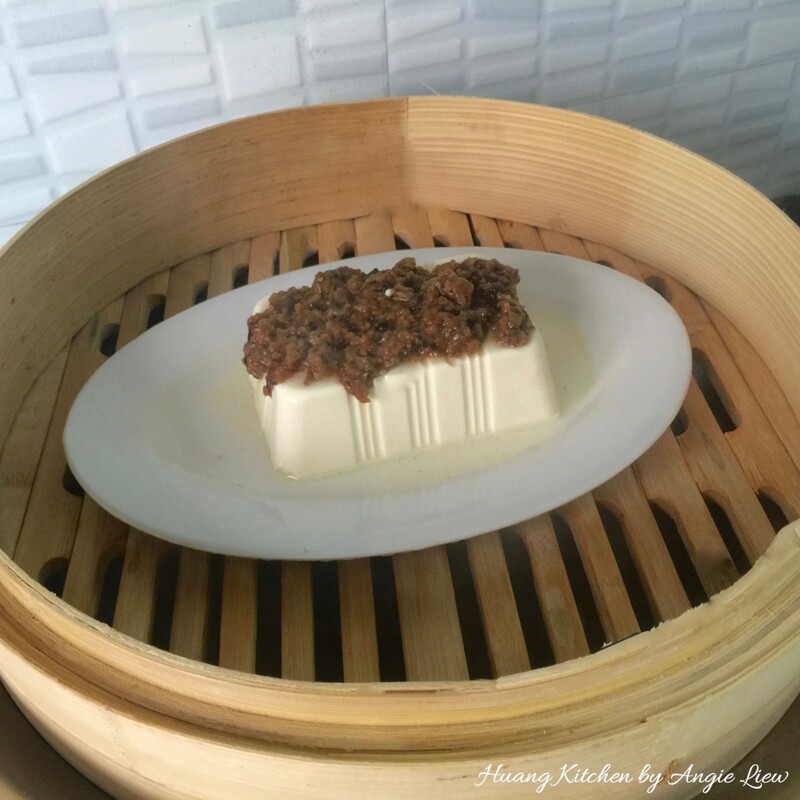 The soft silky tofu, also known as beancurd is just perfect when steamed. Topped with this homemade shiitake mushroom sauce, it simply elevate this humble dish to another level. 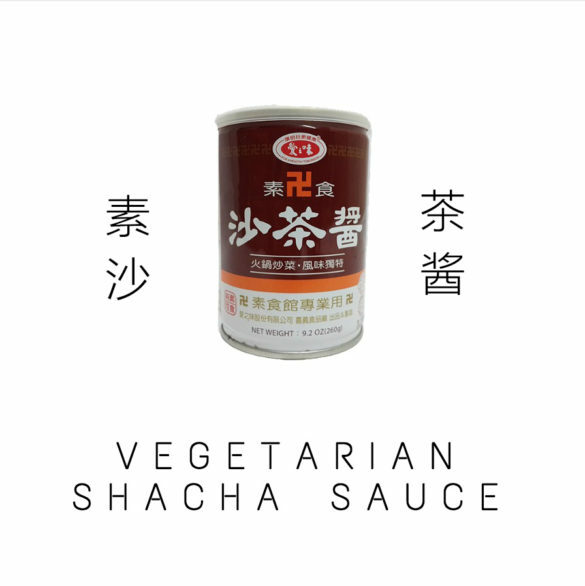 The flavour of this Chinese mushroom sauce is so good, you really may not have enough. The diced shiitake mushrooms in the sauce absorb all the juices and sauces added during stir-frying, making them super flavourful. 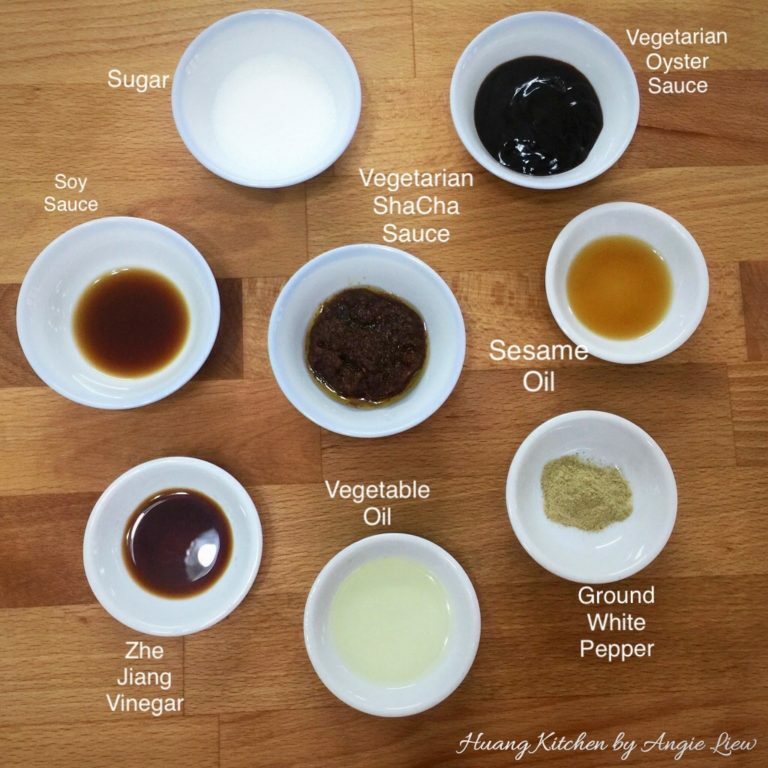 Steaming this aromatic sauce over the soft, smooth and tofu works great in helping to give amazing taste to the otherwise bland taste of tofu. 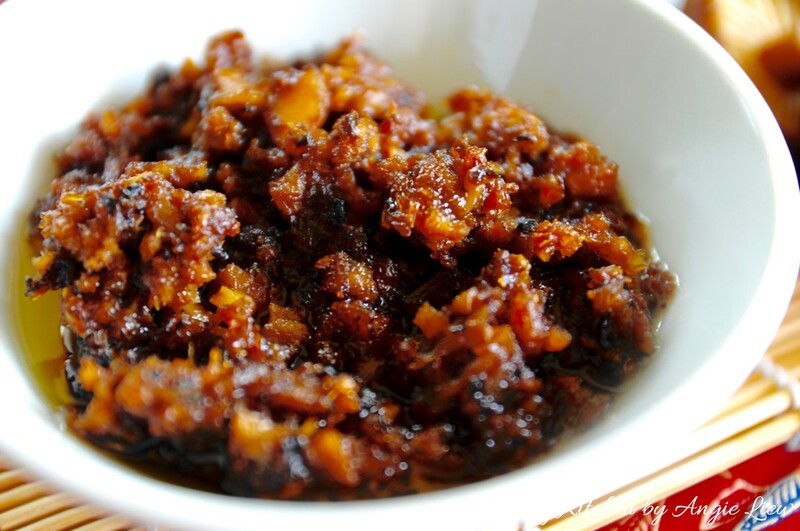 It is certainly a great dish to impress your guests who are vegetarian. Serve this dish with steamed brown rice for a truly wholesome and healthy meal. As always, ENJOY! 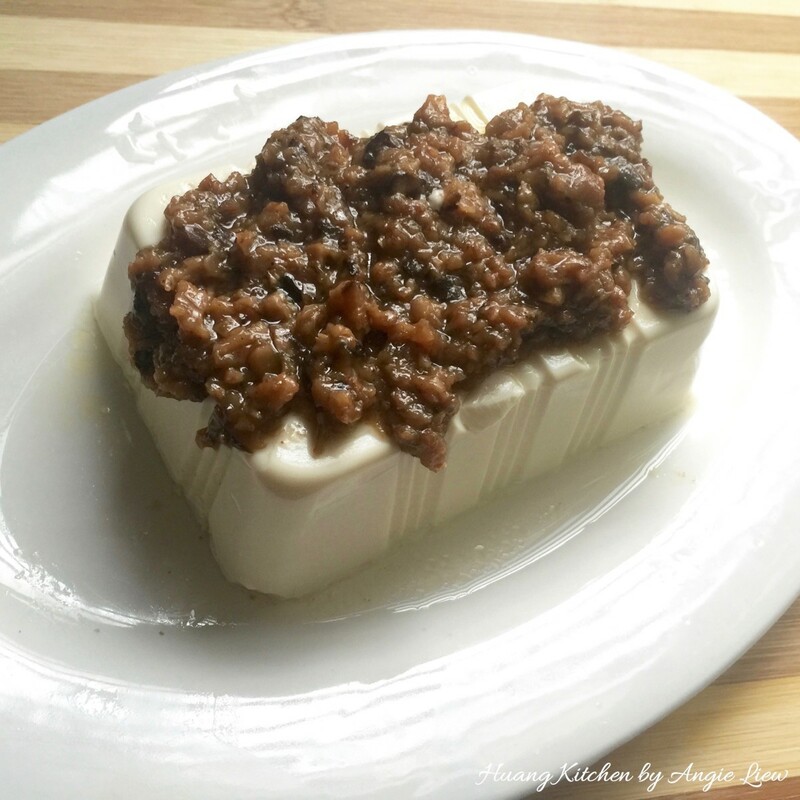 Steamed Shiitake Mushroom Beancurd is another very simple dish. 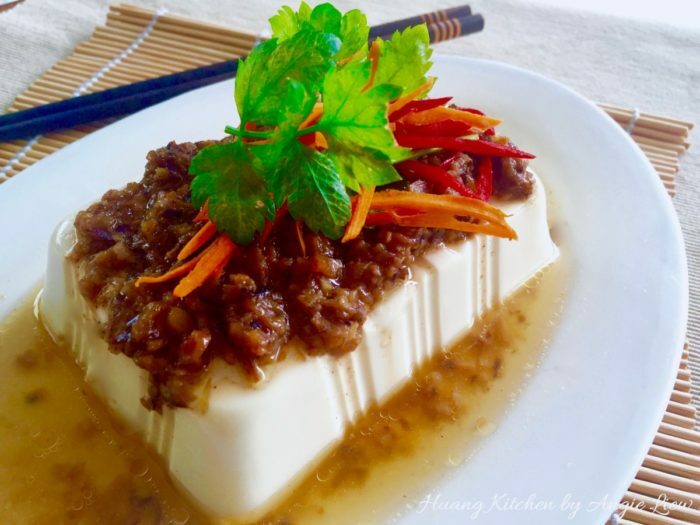 The soft silky tofu, also known as beancurd is just perfect when steamed and topping with this homemade shiitake mushroom sauce simply elevate this humble dish to another level. 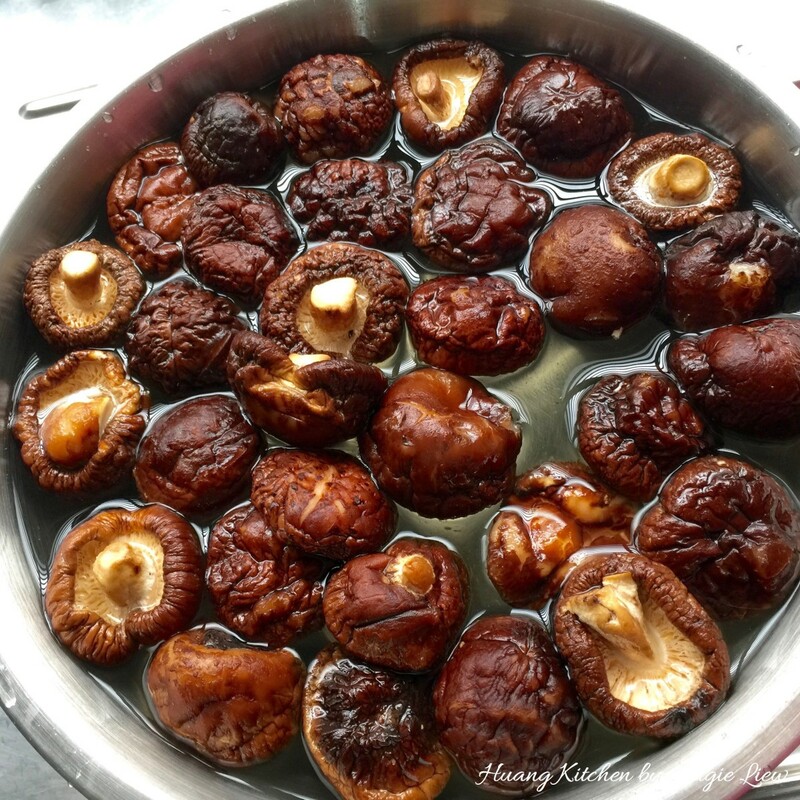 Soak dried shiitake mushroom in cold water till soft, about 1 hour. Drain and squeeze off excess water. 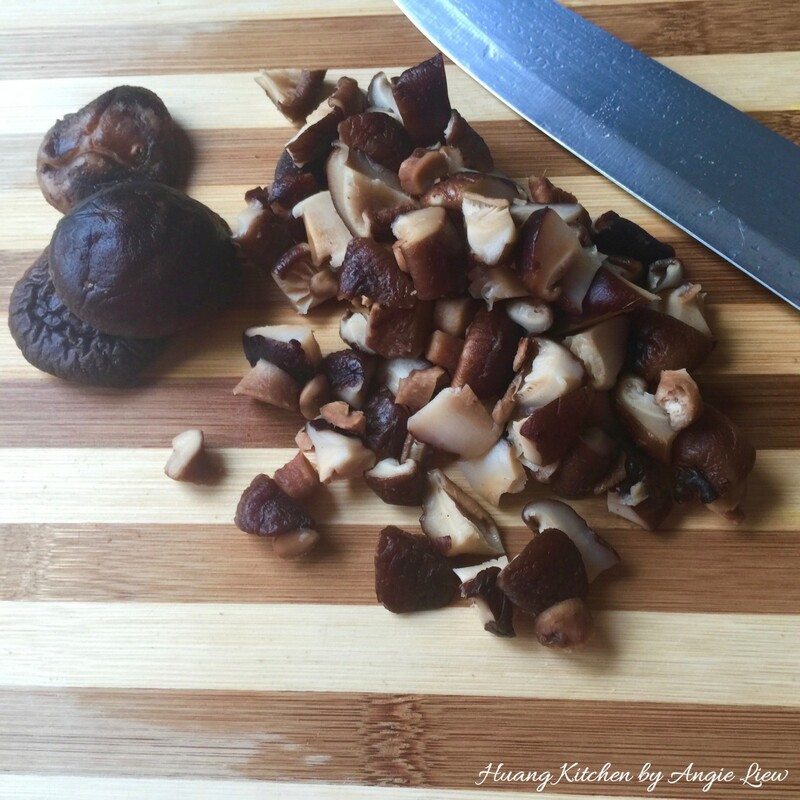 Cut the rehydrated mushrooms into smaller pieces. 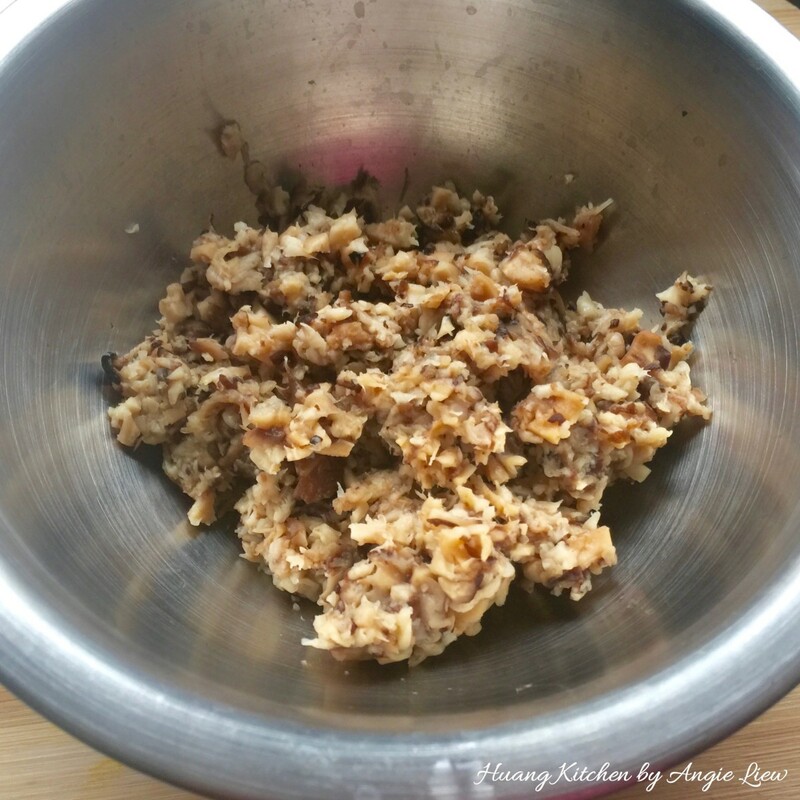 Blend well the mushrooms together with stems. Next skin and mince ginger. We're ready to fry the sauce. Have ready all the seasonings needed. And we're ready to cook the sauce. 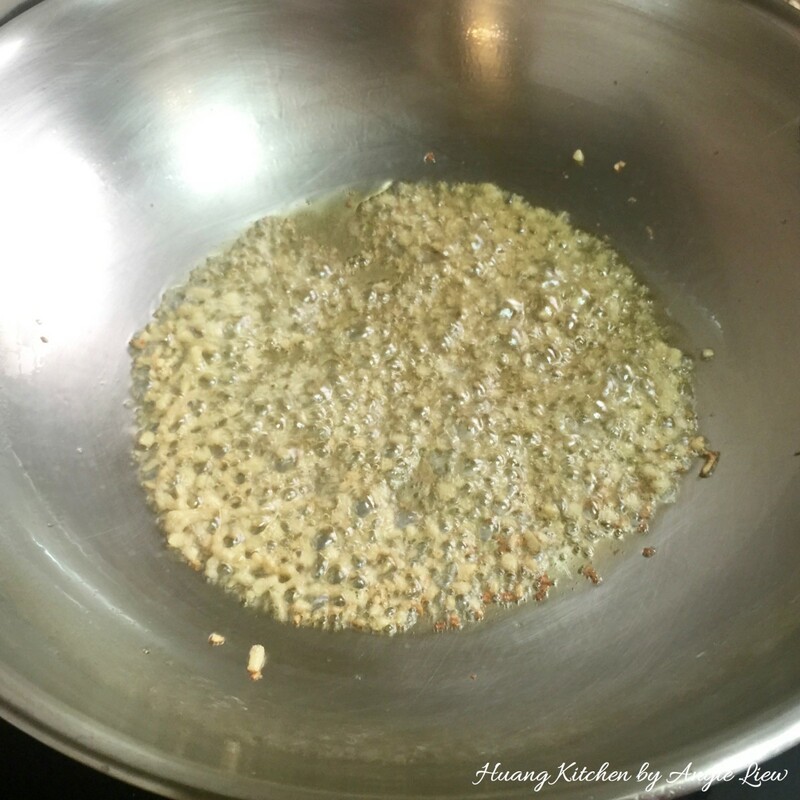 In a wok, heat up 2 tablespoon oil and 1 tablespoon sesame oil. 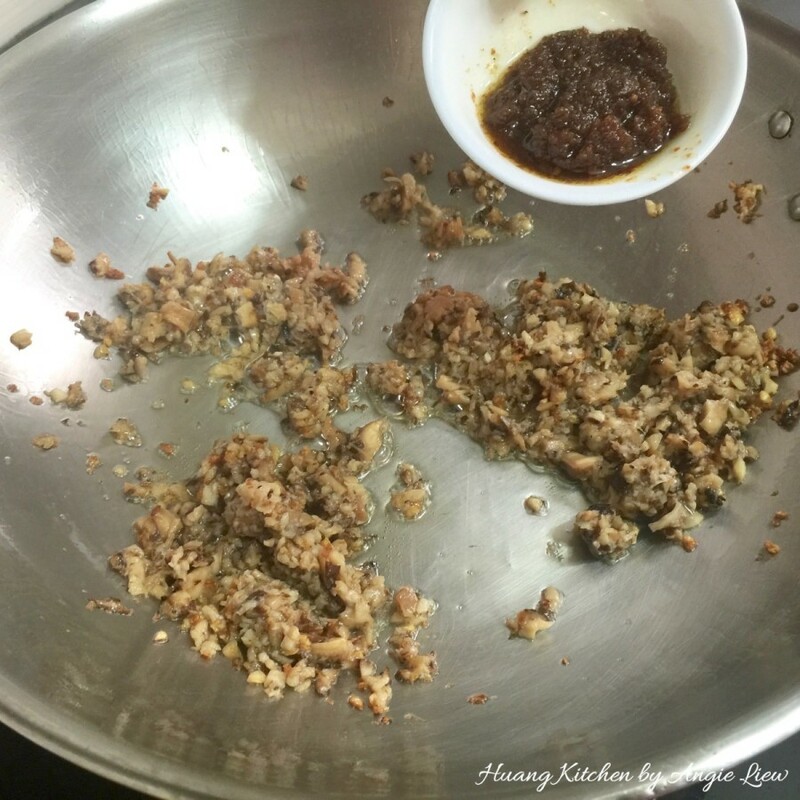 Add in minced ginger and stir fry till aromatic. 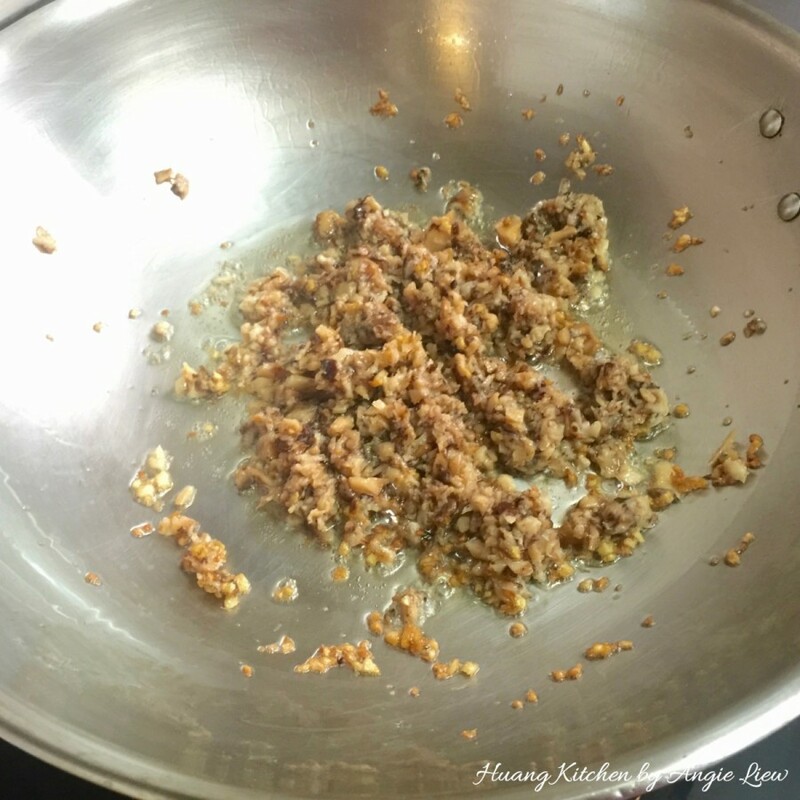 Then, add in the blended mushroom and continue to stir fry till fragrant, making sure mushroom is well combined with minced ginger. 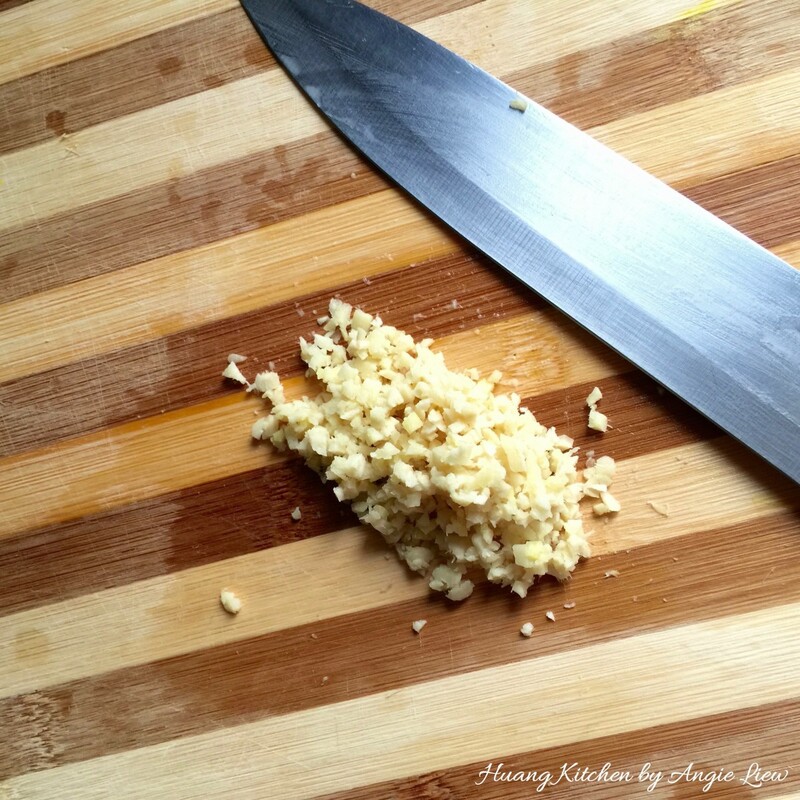 Stir fry to combine all seasonings into the mushroom mixture and on low heat, cook for another 2 minutes. And we're done! Set aside. 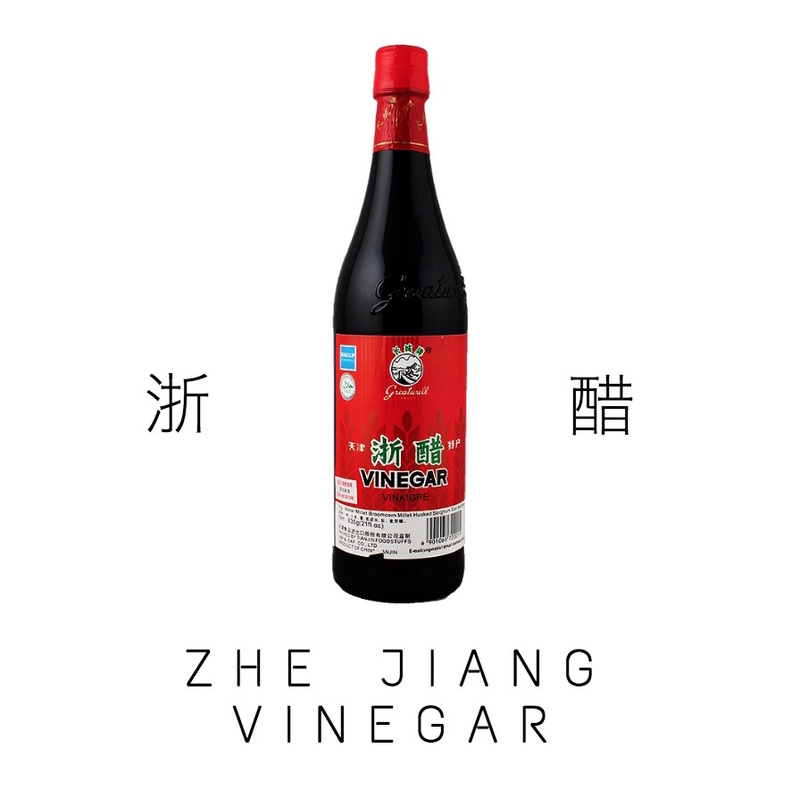 We're now ready to cook steamed shiitake mushroom beancurd. 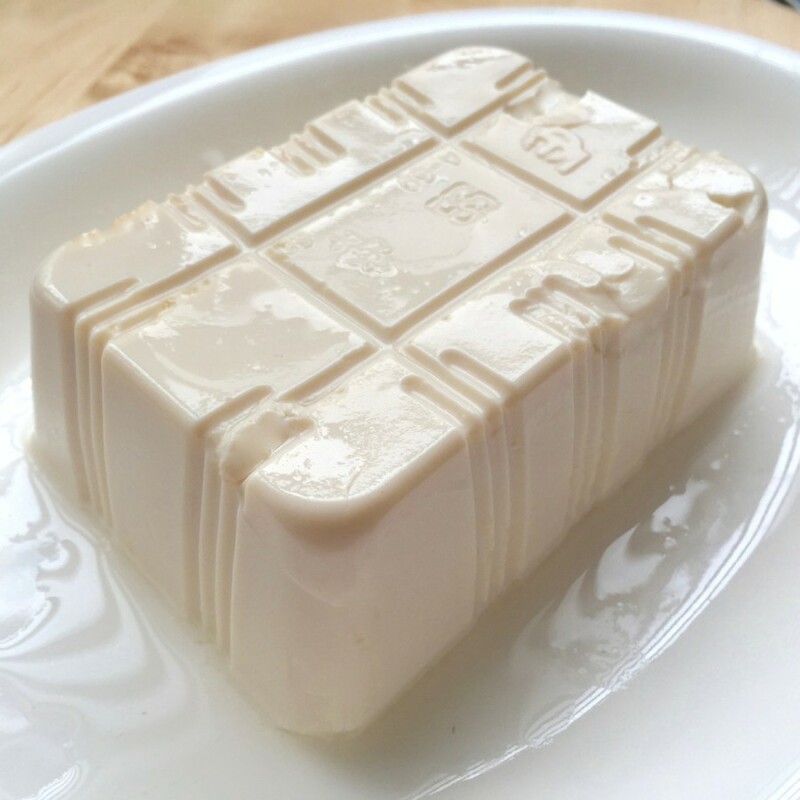 Place the soft block of beancurd on a steaming plate. 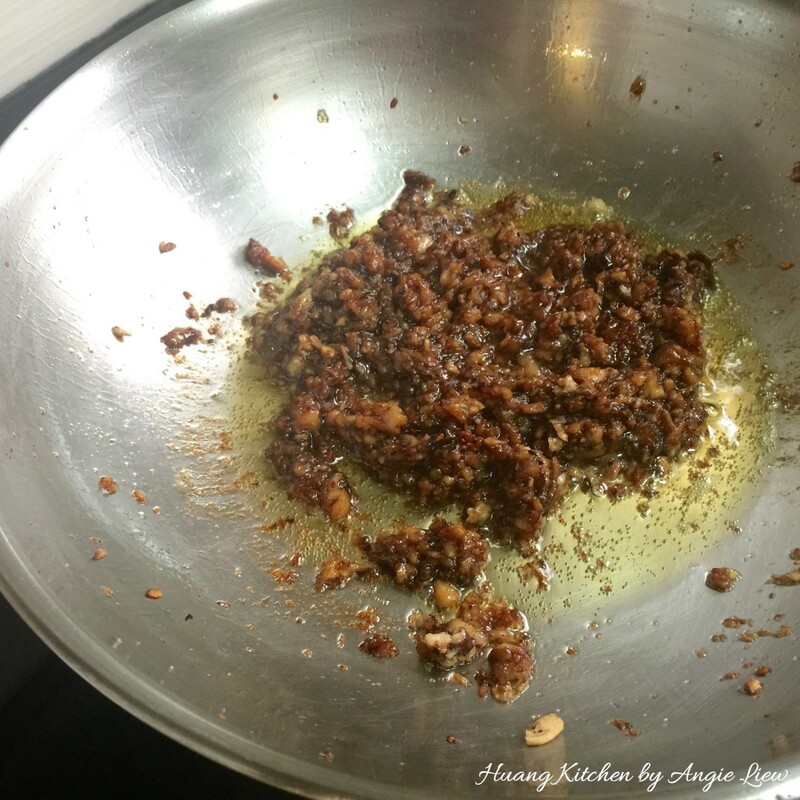 Pour the mushroom sauce onto the top of the beancurd. 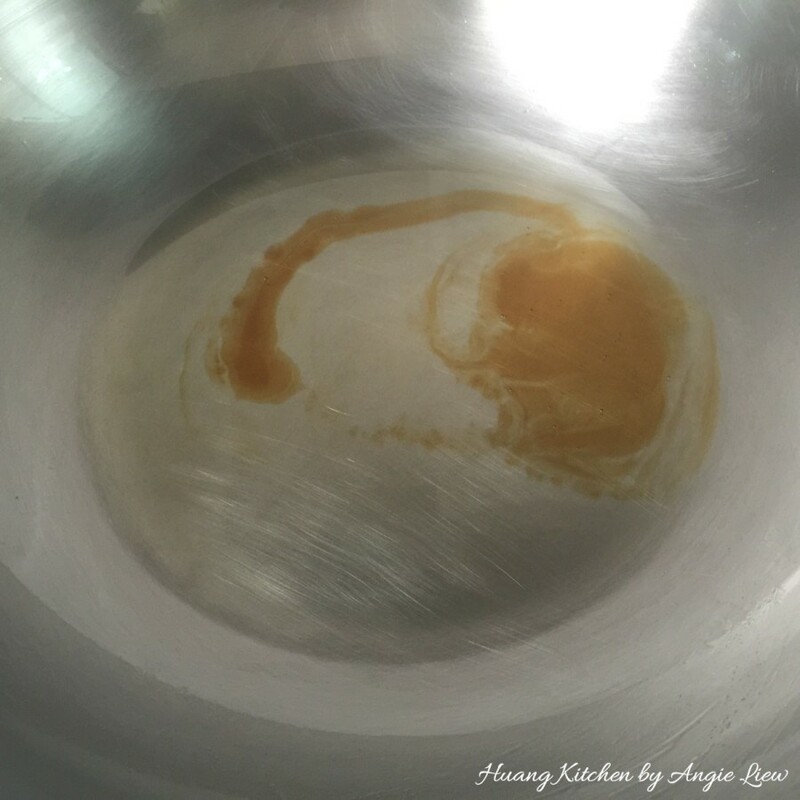 Place the plate of beancurd into a prepared steamer. 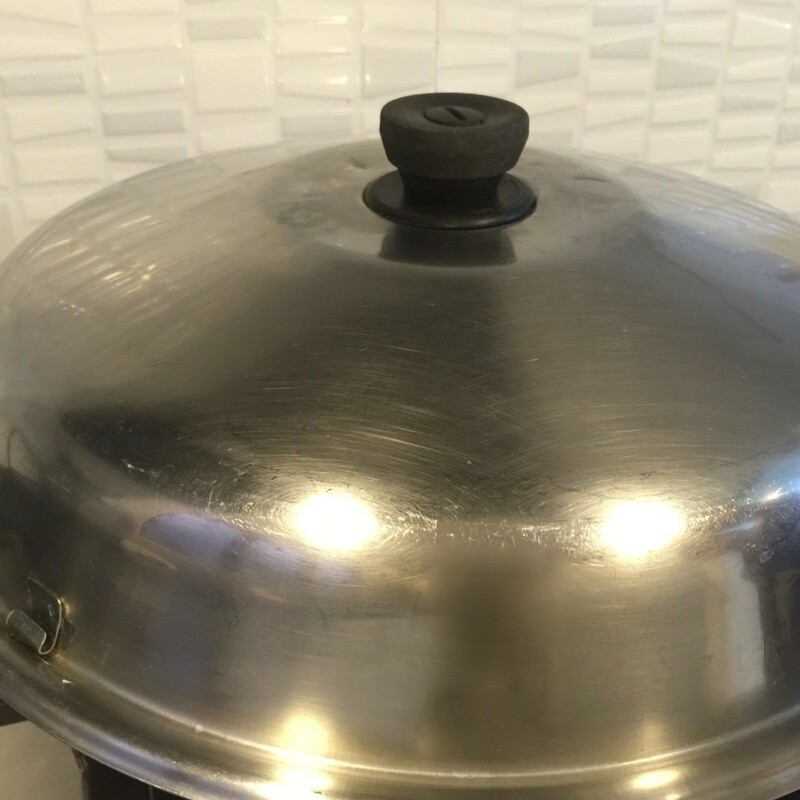 Cover and steam over medium heat for 10 minutes. And we're done! Served garnished with steamed rice. As always, ENJOY! Be careful while removing tofu from its packaging as its soft and fragile. Carefully place it on a heat-resistant plate. 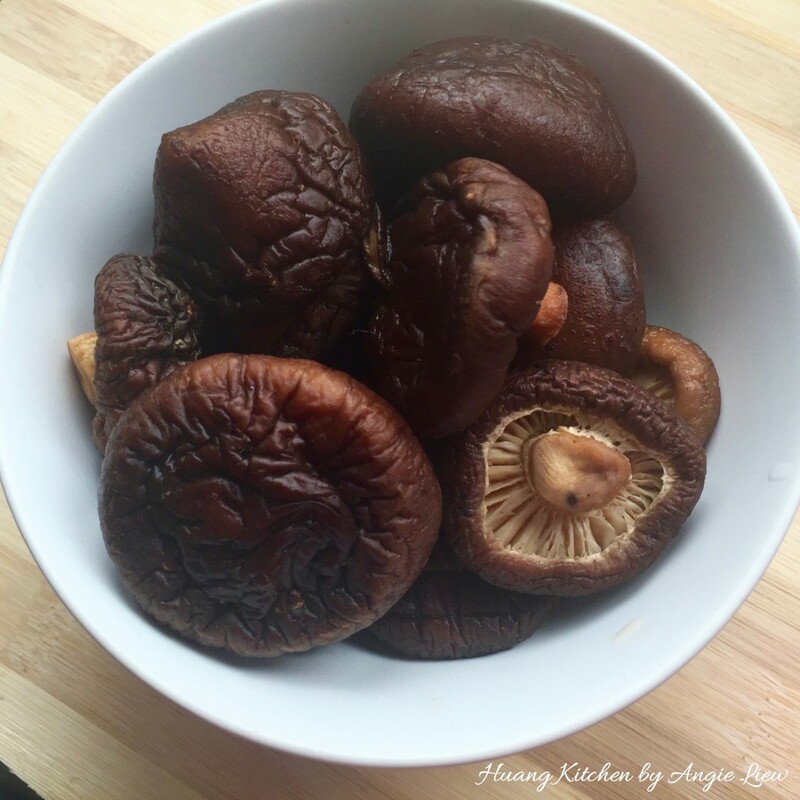 The shiitake mushroom sauce can be cooked in larger quantity, cool down to room temperature, keep refrigerated in airtight container until needed for up to 1 month.